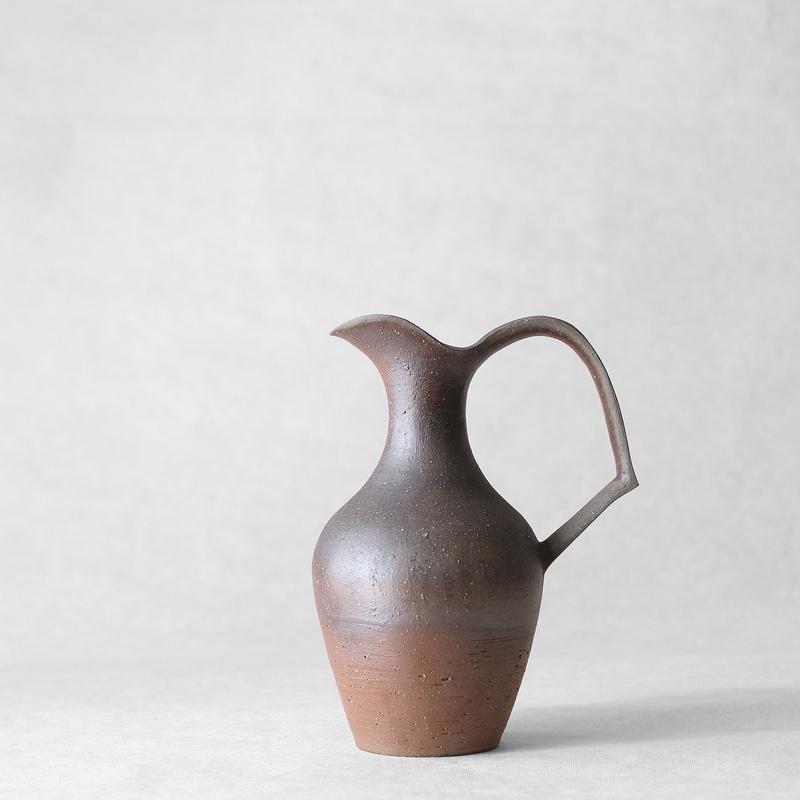 Bizen ware is unglazed stoneware which has been made in Okayama Prefecture since the 12th century. 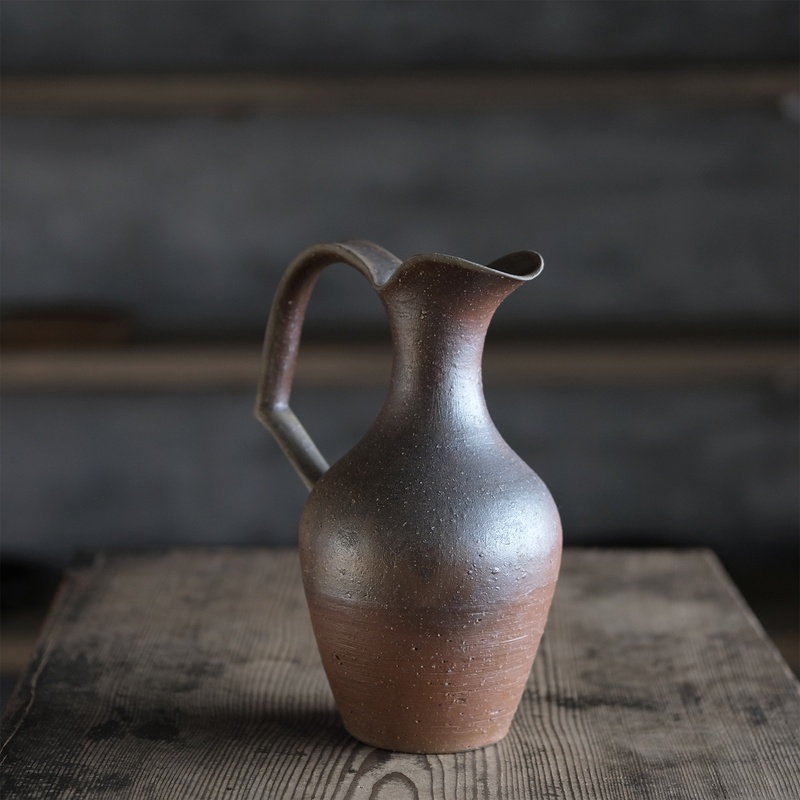 Typically bizen ware has surfaces that can be a glossy gold, matte orange or iridescent blue-green. Rough, charcoal-like patches are also common. The effects are all produced by sustained, high temperature firings. 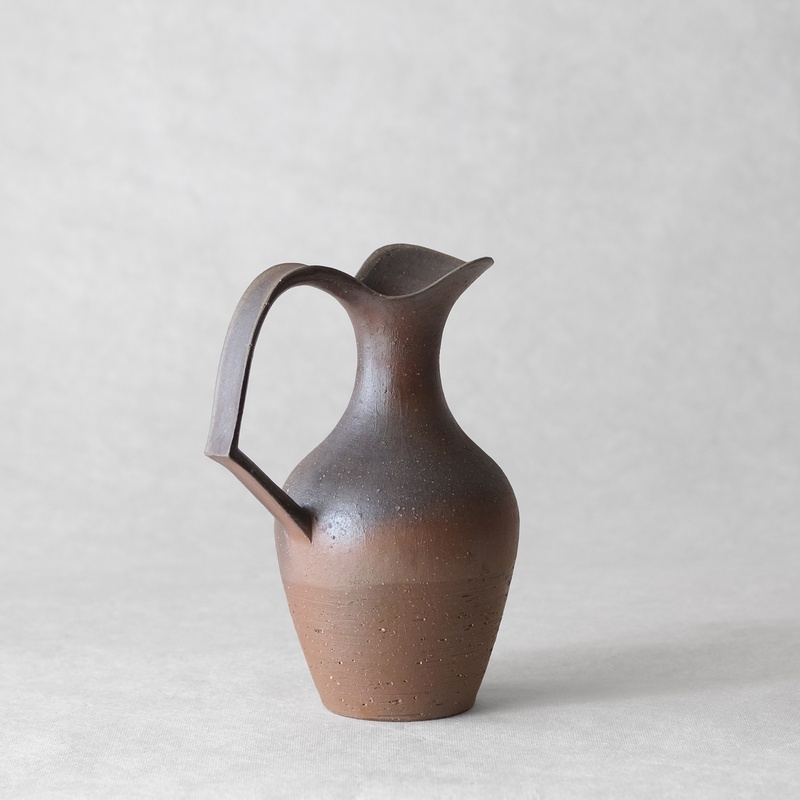 Hitoshi Morimoto who specializes in bizen ware fired these pieces for more than a week in the family noborigama. The nature of the bizen clay, position of the vessel in the kiln and temperature all contribute to making each piece unique. Morimoto's sans large pitcher is ideally used as a flower vase or as an object for display.